For over 30 years, Mini-Excavation Beloeil has brought its expertise to the Greater Montreal and the South Shore. We guarantee our services to be carried out with outstanding professionalism, irreproachable quality and on-time delivery. Whether you are an owner or a contractor, we have the equipment and the expertise to carry out your construction or renovation projects. Over the years, parallel to civil works, Mini-Excavation Beloeil has become a reference in the sawing and drilling of concrete, in addition to diversifying into interior demolition and work with electrical equipment for the most sensitive areas, in order to provide comprehensive services to our customers. With Mini-Excavation Beloeil, you will find all these services in one place! The grinding or grooving of a floor is intended to increase the coefficient of adhesion of a concrete slab. This economical solution consists of removing a thin layer of concrete to apply a smooth, non-slip texture. 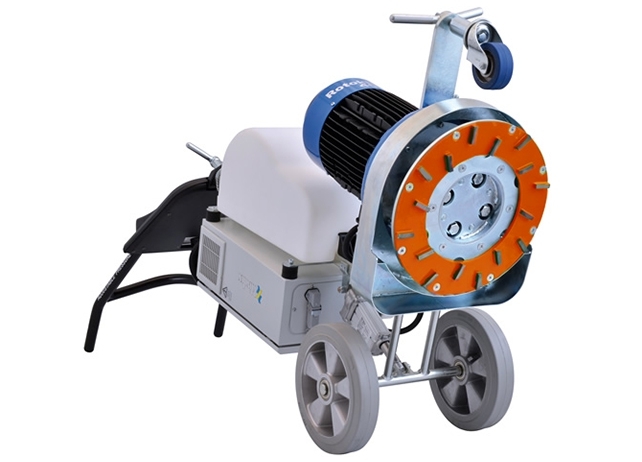 Diamond grinding also makes it possible to prepare an inadequate surface for the application of another coating by correcting the profile, small spalling (chips) and applying a uniform texture. Once the work is done, the slab that was previously covered with another material is now ready for a new siding. A variety of excavators and trucks. Below is a sample of our various equipment and machineries. Contact us for more details and rental terms. All your needs in one place! © 2016 Mini-Excavation Beloeil. All rights reserved.